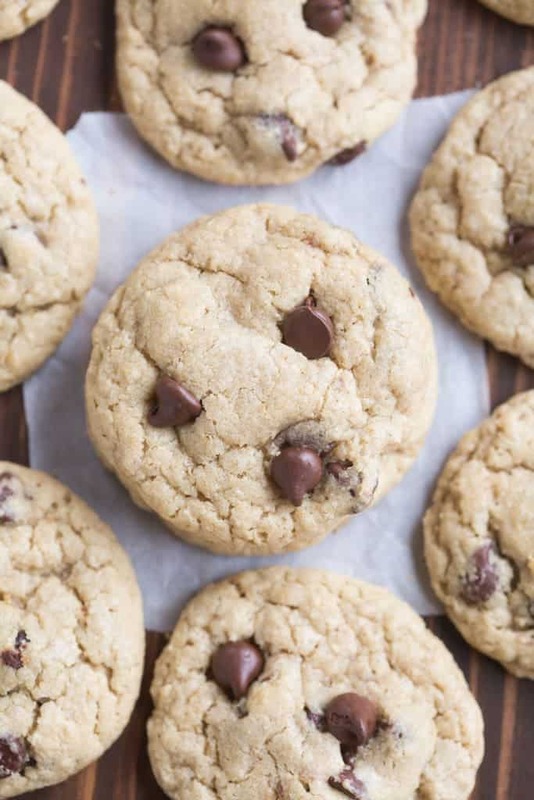 Mrs. Fields Oatmeal Chocolate Chip Cookies is one of my family’s most beloved cookie recipes! Perfectly soft and chewy. This is one of the very first recipes I ever shared on my blog, waaaay back in August of 2010. Back in the day when I blogged just to share recipes with my extended family and to keep a sort of online “recipe book” of all of my favorites. I cant believe how my little site has transformed since then! There’s a reason it was one of my first recipes to share. It’s my family’s most loved cookie recipe! These are the cookies my mom made growing up and they always got rave reviews from everyone: friends, neighbors, teachers, etc. 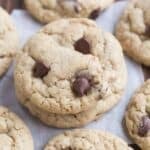 I’ve since come to love these Perfect Chocolate Chip Cookies as well (my husband’s favorite). This version is equally as amazing, and I really LOVE the addition of powderized oats in them that makes them “chewier” than the others. 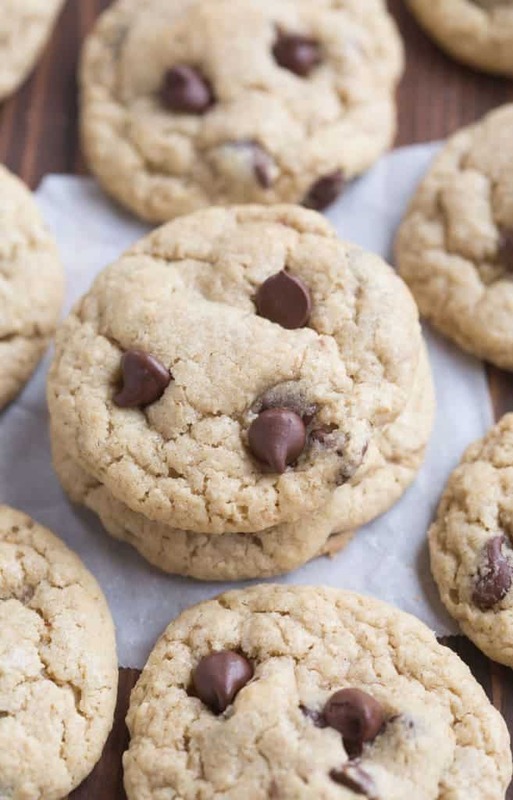 Mrs. Fields Oatmeal Chocolate Chip Cookies is one of my family's most beloved cookie recipes! Perfectly soft and chewy. In a large mixing bowl or stand mixer cream together the butter and sugars. Add the eggs, mixing one at a time, and then the vanilla. Beat until smooth. In a separate bowl, combine the flour, oats, salt, baking powder, and baking soda. This is such a great recipe! I love the rolled oats!